The local craft brewery boom will make its way to the Kansas side this year. Transport Brewery (11113 Johnson Drive, Shawnee, Kansas) will hold its grand opening Friday at noon. Transport is the first of a new crop of breweries expected to open in the coming months. 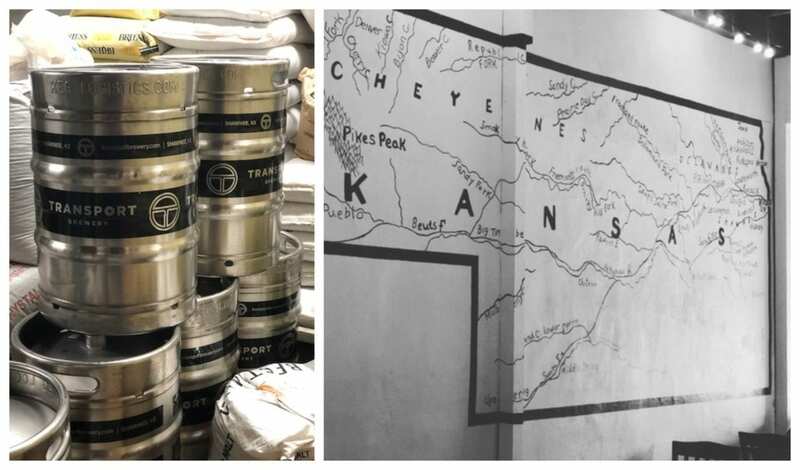 Servaes Brewing Co. is in the works a block away, and Sandhills Brewing Co. (which counts Transport co-founder Jonathan Williamson among its owners) is also in the works on Johnson Drive in Mission, Kansas. Red Crow Brewing is moving forward with its plan to move from Spring Hill to Olathe, Kansas. The microbrewery got is building permit last week. Transport, which has 12 taps, will serve beer, wine and cider. Keep an eye out for CarHop, a Berliner Weisse with cherry and lime added. They’ll have food trucks on-site for the opening weekend and cans of beer to go. Transport will be open from noon to 11 p.m. Friday and Saturday and 11 a.m. to 7 p.m. Sunday. This is not your average margarita. Boulevard Brewing Company’s tequila barrel lime gose, a tart sour made with sea salt, coriander and lime peel will be available in cans for the first time and on draft. Former Colony brewer Rodney Beagle has been taking his act on the road. 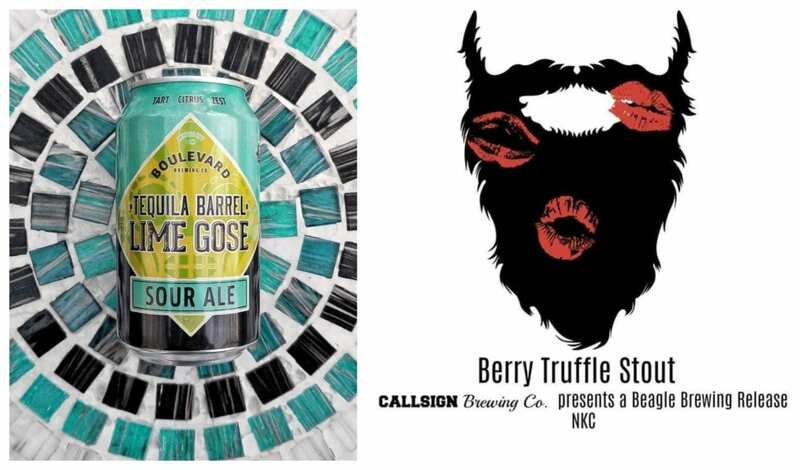 His latest collaboration is with Callsign Brewing Co., which is serving his berry truffle stout. Put it on your calendar. City Barrel Brewing Co. (1740 Holmes St.) will open Friday, Feb. 22. See the breweries of the future at the 2019 KC Nanobrew Festival on Saturday, May 18, from 2 to 5 p.m. at Berkley Riverfront Park. Over the past decade, this festival has been one of the first places to try beer from accomplished homebrewers thinking about making the leap and opening a brewery. Tickets ($35 before March 1) are on sale now. HopCat has a four-course beer dinner ($30) featuring Bell’s Brewery on Tuesday, Feb. 12. Try Hopslam with a sesame ahi tuna or strawberry shortcake panna cotta with Larry’s Flamingo Fruit Fight. You can also add on a six-piece box of Andre’s Chocolate. A little bit of live music and a beer is sometimes just what you need. Bier Station hosts singer/songwriter Una Walkenhorst from 7 to 8 p.m. on Wednesday, Feb. 13, for a free show. The father-daughter duo of Bob and Una Walkenhorst visited KCPT and 90.9 The Bridge last year for an in-studio session. Watch the performance below for a taste of what you can expect from Una at Bier Station. Not all games of bingo are created equally. Spokes hosts Singalong Bingo — they play a tune and you check to see if it is on your card. It’s also $2 taco night and Spokes serves beer. The game is a benefit for Bike MS and the MS Society. Cinder Block Brewery drops Retribution Rye in bottles and on draft at 4 p.m. It’s a barrel-aged imperial black rye aged in rye barrels. Burg & Barrel Overland Park taps a few new Boulevard beers: 2019 Chocolate Ale, Space Camper and a 2018 Rye on Rye. The burger and beer bar is also hosting trivia that starts at 8 p.m. 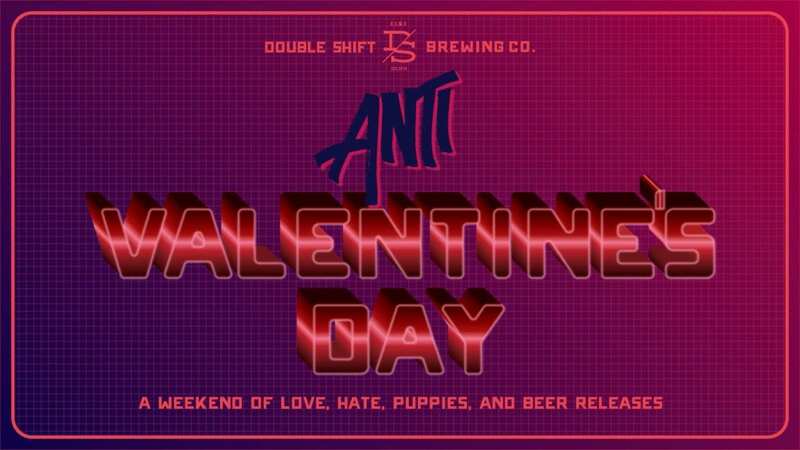 Double Shift Brewing Company celebrates an “Anti-Valentine’s Day Weekend.” It kicks off with a pair of new brews today. Nighthawk Postcards Coconut/Chocolate Stout (5.8% ABV) is a dessert stout made with more than 50 pounds of toasted, shredded coconut and Ghanan cacao. Trampled Rose Tart Cherry Sour (7.1% ABV) is a blonde sour with milk sugar, cinnamon, lemon peel and tart cherry juice. “It’s effectively cherry pie filling that makes you feel funny,” head brewer Bryan Stewart said. Limitless Brewing Co. hosts a yoga session at the brewery from 11 a.m. to midnight. It’s a $5 suggested donation. All donations will be given to Angel Heart Rescue, a charity that assists homeless people with their pets. The KC Brew Fest returns to Union Station. Tickets ($40) for the afternoon session are sold out, but the evening session (6 to 9 p.m.) still has spots available. Big Rip throws a Valentine’s Brunch from 10:30 a.m. to 1 p.m. Food truck Wicked Waffles & Twisters, which serves Belgian waffles and waffles on a stick, will be parked in front. Big Rip will release bottles of Twins Cherry Cheesecake and Davey Hogan’s Revenge, its blueberry cream ale, and serving Irish coffee and mimosas. Ever wonder what it would be like to drink a coconut pecan pie? Wonder no more. Boulevard’s Good L’Oven, the latest in its Brewhouse Series, is out at 10 a.m. A portion of the sales benefit Thelma’s Kitchen, the pay-what-you-can cafe inside of Reconciliation Services. Double Shift is teaming up with Riverview Rescue and Beer Paws on “Adopt Your Valentine.” Meet dogs, and $1 from each full pour of Trampled Rose and Nighthawk Postcards will be donated to the dog rescue.